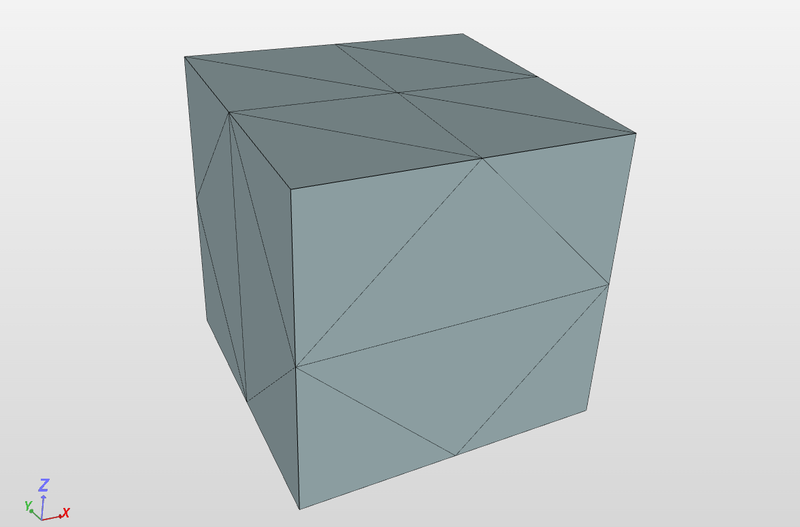 The simulation results of SimScale were compared to the analytical results derived from [SCHAUM]. 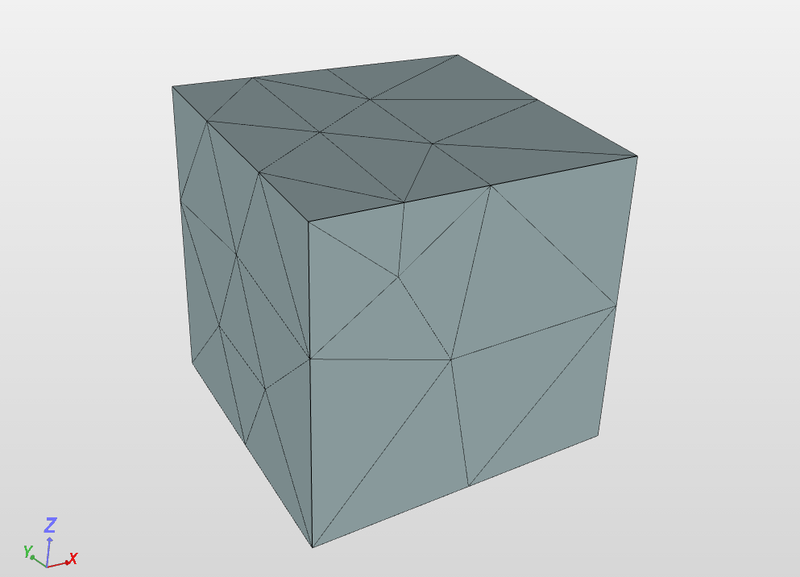 The mesh used was created using first order tetrahedralization meshing algorithm on the SimScale platform. 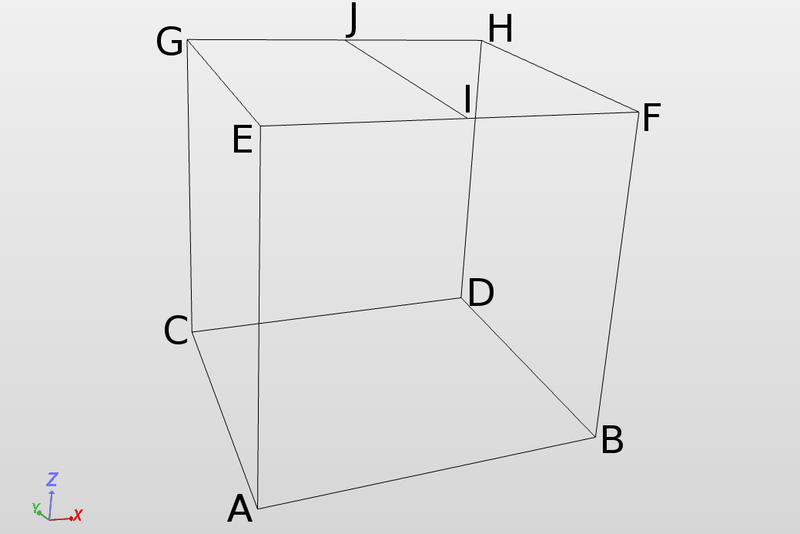 The square box mass has a length, width and height of \(1 m\) with upper face partitioned in to half. The equation (1), (2) used to solve the problem is derived in [SCHAUM]. Comparison of the displacement \(d_z\) computed on face ABCD from SimScale case A-1/B-1/B-2/B-3 with [SCHAUM] equation (1). 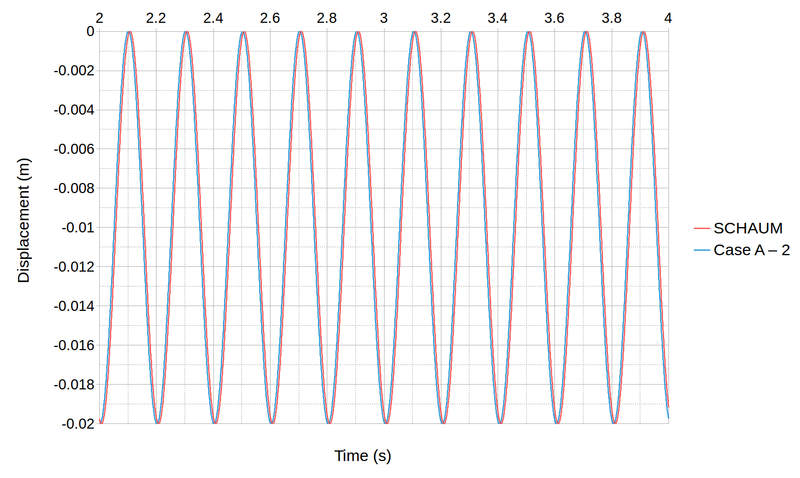 Comparison of the oscillations \(d_z\) computed on face ABCD from SimScale case A-2 with [SCHAUM] equation (2).